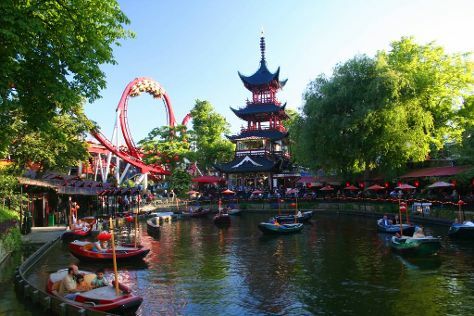 Start off your visit on the 23rd (Sat): don't miss a visit to The Little Mermaid (Den Lille Havfrue) and then get in on the family fun at Tivoli Gardens. Keep things going the next day: examine the collection at National Museum of Denmark, take a stroll through Gammel Strand, and then contemplate the long history of Christianshavn. To find other places to visit, ratings, traveler tips, and more tourist information, use the Copenhagen tour planner. Berlin, Germany to Copenhagen is an approximately 3-hour flight. You can also take a train; or do a combination of car and car ferry. In July in Copenhagen, expect temperatures between 26°C during the day and 16°C at night. Cap off your sightseeing on the 24th (Sun) early enough to catch the flight back home.